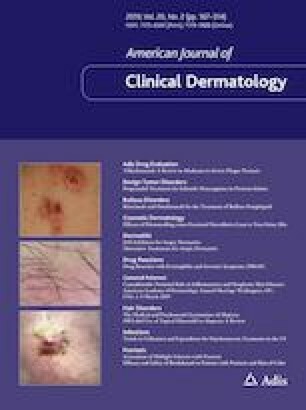 Bullous pemphigoid (BP) is the most common autoimmune blistering skin disease worldwide. Systemic corticosteroids are considered the mainstay of therapy; however, they may cause significant adverse effects and treatment failures, so additional therapeutic modalities with better safety profiles are required. Rituximab and omalizumab are novel biologic agents administered in recent years for the treatment of BP, yet data regarding their use in the disease are limited. Our objective was to systematically review the current literature regarding the use of rituximab and omalizumab for the treatment of BP to evaluate their safety and efficacy. A systematic review of all publications evaluating patients with BP treated with rituximab or omalizumab was performed. The primary outcome was clinical response; secondary outcomes were adverse events and recurrence rate. The systematic review included 35 publications (84 patients: 62 receiving rituximab and 22 receiving omalizumab). In total, 61 of 63 patients had not experienced disease control with systemic corticosteroids before receiving the biologic treatment. Complete response rates were 85% and 84% for rituximab and omalizumab, respectively. The recurrence rate was considerably lower with rituximab (29%) than with omalizumab (80%). Mean time to recurrence was 10.2 and 3.4 months, and adverse effects occurred in 24% and 20% of the patients, respectively. Available data, although potentially limited because of publication bias, suggest that rituximab and omalizumab have similar safety profiles and provide clinical benefit for patients with BP. The reviewed data indicated that rituximab resulted in lower recurrence rates and a longer time until recurrence than omalizumab. The online version of this article ( https://doi.org/10.1007/s40257-018-0401-6) contains supplementary material, which is available to authorized users. The authors acknowledge the help of Dr. Debby Mir in writing the manuscript. Noa Kremer, Igor Snast, Efrat Solomon Cohen, Emmilia Hodak, Daniel Mimouni, Moshe Lapidoth, Sigal Mazor and Assi Levi have no conflicts of interest that are directly relevant to the content of this article.